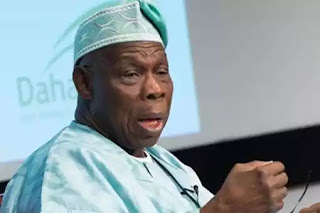 The fall of the Peoples Democratic Party at the centre appears to have devastated the fortunes of several politically-connected businessmen who, as once suggested by former President Olusegun Obasanjo, mostly relied on the then-ruling party for government contracts. One of such billionaire businessmen, Emeka Offor, has indicated that he is broke, just over two years after the PDP left power. In the build-up to the 2003 general elections, Mr. Offor was reported to have donated N200 million to the Obasanjo/Atiku presidential re-election campaign. During the heat of the Obasanjo-Atiku feud in 2006, the Atiku Media Office in a statement by Garba Shehu, now President Muhammadu Buhari’s spokesperson, said a special account to finance the PDP presidential re-election bid in 2003 was managed by Mr. Offor. Known for his interests in oil, gas, power and construction, the businessman and politician got juicy federal contracts, many barely executed, while the PDP reigned for 16 years. But despite the massive wealth many Nigerians believed he amassed in profit from various contracts, Mr. Offor is now indicating he is broke, suggesting that his main cash cow, Chrome Oil, has suffered downturn since the coming of the All Progressives Congress to power in 2015, according to correspondences seen by PREMIUM TIMES. Some staff members of the company, in a letter written on their behalf by their lawyer, Femi Falana, say they are being owed N1.14 billion, representing outstanding salaries and wages between September 2016 and August 2017. They also accused Mr. Offor of failing to remit their tax and pension deductions, an act they described as unethical and criminal under our laws. They demanded that “all pension deductions and contributions from July 2015 to August 31 2017 totalling N244,172,464.80 be remitted to their respective pension fund administrators,” the letter said. Similarly, they demanded “that all PAYE tax deducted from staff payroll from July 2015 to August 2017 totalling N153,775,382.58 be remitted” to tax authorities. Then, “that the sum of N579,219,429.5 being the disengagement benefits” of the staff as at end of August 2017 be paid to their respective bank accounts. 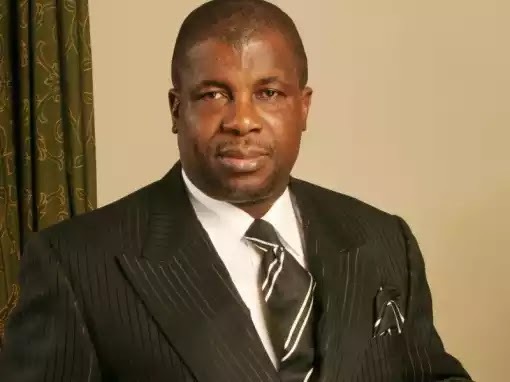 But Mr. Offor blamed the “general economic meltdown and recession” for his company’s inability to meet its financial obligations to employees, saying his “businesses suffered frustration commencing from March 2015 and grounded to a halt in September 2015”. Mr. Offor said the company had “no job to execute and closed office starting from September 2015”. The PDP-led government left power in May 2015 after losing elections held in April. While he started out in business with governments years before the PDP came to power, Mr. Offor got some of his most lucrative contracts under the PDP. He also became one of the party’s top financiers. Under the Sani Abacha military junta in the 1990s, Mr. Offor’s Chrome Group was offered the contract for the Turn Around Maintenance of the Port Harcourt refinery. About that time, he led the Movement for National Stability to campaign for the late dictator’s ultimately futile bid to transmute to a civilian leader. Reflecting on the condition of Nigeria’s refineries and Mr. Offor’s link, Mr. Obasanjo told PREMIUM TIMES in August 2015 that nothing came of the purported work done by the businessman, despite being paid. “I explained that what I met were refineries that were not working, refineries that were given to an amateur for repairs, for maintenance, what they call turn around maintenance to the company of Emeka Offor – Chrome Group,” said Mr. Obasanjo.